1. 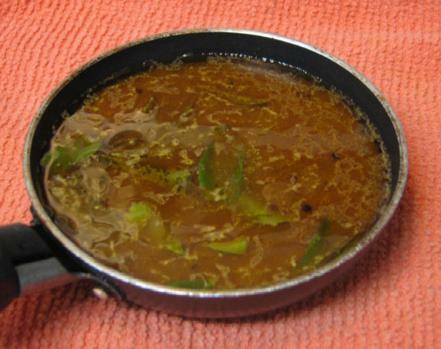 Soak the tamarind in hot water for 20 minutes. 2. Strain the tamarind, collect the juice and discard the tamarind pulp. spices for 30 seconds (make sure that you don’t burn them). cook uncovered for 30-40 minutes or until thickened. and remove from heat. Serve with rice. ** You may also add some vegetables like pumpkin, green mango, drumsticks etc.